Nurse and nurse aide shortages are predicted to continue. By 2020, according to the U.S. Bureau of Labor Statistics, a growing aging population will require five million direct-care workers, including nurses and nursing home aides, up 48% from the 2010 level. This shortage of nurses and nursing aides is set to further impact the broad spectrum of senior living – from nursing homes to assisted living facilities and home healthcare – particularly as the aged population grows and chronic medical care is needed. The effect of nursing staff shortage is far reaching for facilities, including diminished quality of care. Research at the University of Pittsburgh, for instance, shows nursing homes with higher nursing aid turnover levels tend to have worse records for quality, as measured by issues as the number of patients with bed sores or urinary-tract infections. “If you don’t really know the individuals [due to turnover] you’re taking care of, you can’t always address their needs in a timely manner,” says Dr. David Gifford of the American Health Care Association (AHCA). It is also costly. Hiring a new nursing aide typically costs about $4,000, including recruitment and administrative expenses, according to the AHCA. The challenge of attracting nursing care depends on the position. When it comes to nursing aides, who do some of the toughest work in nursing homes, are among the residents’ closest companions, and often the first to spot a turn for the worse that requires medical attention, the challenges are more complex. They typically have a high rate of occupational injuries, low pay and inconsistent scheduling and duties. Turnover costs among nursing aides and other “front-line” workers in long-term health care is estimated at $6.3 billion a year, including expenses for recruiting and training. The declining numbers of individuals preparing and willing to provide long-term care support and services come at a time when the Baby Boomer demand for those services is beginning what’s expected to be a steep ascent. It’s important for senior living facilities as part of their risk management strategy to employ a plan to hire skilled and trained staff to provide quality of care to their patients and residents. This will go a long way in not only meeting the demands of patients/residents but also in helping to stem both Professional Liability and Workers’ Compensation claims with fewer potential errors and on-the-job injuries. Role changes are some pragmatic strategies hospitals are using to cover skill shortages and keep employees engaged. Shifting around what CNA’s are doing to see what their best value could be is part of a search to get the most out of what all hospital staff can do. 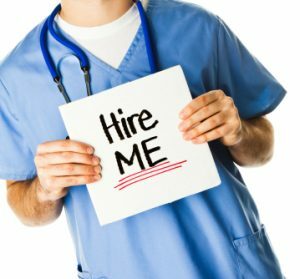 For example, healthcare employers are tapping into the unused talent that’s already available in the organization by making more use of their current Nurses and CNA’s. Compensation is ranked as one of the top three things millennials cared most when applying for a job, according to a joint survey by our partners at Healthcare Source and the American Society for Healthcare Human Resources Administration (ASHHRA). Aside from competitive benefits, employers need to design new types of compensation packages that reflect the changing financial and lifestyle needs of new nurses and nurse aides. It’s important to consider other financial incentives that aren’t tied directly to salary, experts say. Tuition debt relief or tuition assistance, for instance, can be an important incentive for recent graduates entering the profession. Providing ongoing development opportunities has proven to be a highly successful strategy for attracting and retaining top nurses and CNA’s. In fact, over two-thirds of millennials believe it’s management’s responsibility to provide development opportunities in order for them to stay.